OKA-Spezialmaschinenfabrik is a traditional German ma­chine builder & designer with more than 100 years of history in de­signing and building machines for the bakery and confectionery industry. The company, with it’s 80 employees, still is a family owned business, now in it’s sixth generation. OKA is synonymous with reliable, robust high tech equipment “Made in Germany”. Our customer base ranges from smaller family-owned companies to multinationals. 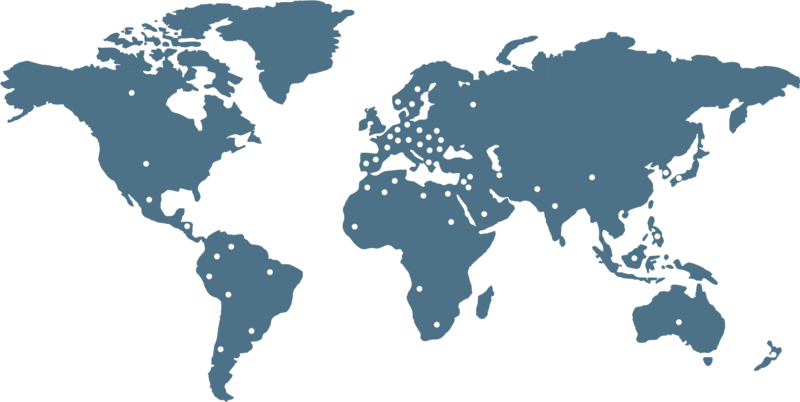 OKA machines can be found on all continents and in more than 80 countries. We support our customers as a reliable partner – from product idea to industrial start-up. After this you can rely on our excellent service – throughout the life-cycle of the equipment. Our machines are designed to the highest quality standards for a long-lasting machine life. OKA provides a global sales and service network through local partners, ensuring the necessary individual support in each region. OKA places a high emphasis on reliable partners with long market experience. This way OKA assures the necessary individual and personal support – you deserve it!